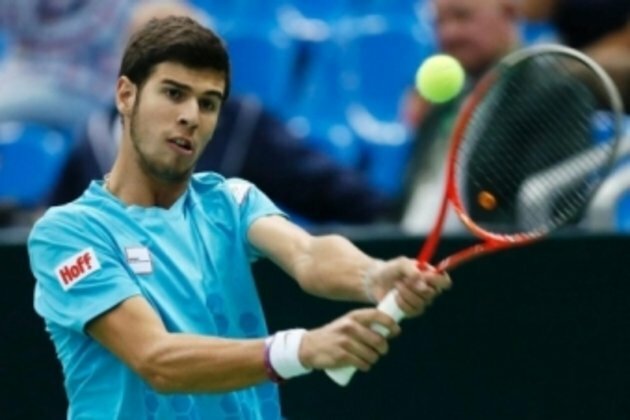 PanARMENIAN.Net - Russian tennis player of Armenian descent Karen Khachanov beat Japan's Yoshihito Nishioka 6-3, 6-3, 6-3 to reach the Australian Open third round. Khachanov finished with 16 aces and 49 winners in the 2-hour, 2-minute match, while his opened had four aces and 23 winners. Khachanov, 22, enjoyed an impressive breakthrough season in 2018, climbing to world No 11 - having started the season ranked 45th - and winning the biggest title of his career at the Paris Masters in November.